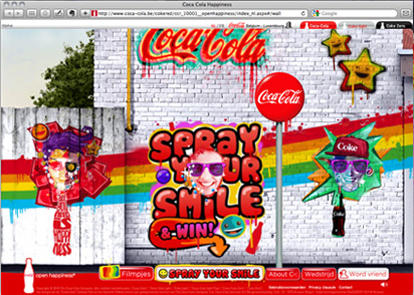 C-: Spray your smile on your virtual wall on social networks. I was part of the concept and the storyboard phase (of the online movie and site) of this campaign. But the real credits go to all the great work from my Amphion colleagues. Happiness is not a crime!